I have seen Christian Slade’s work on the Rebelscum forums. 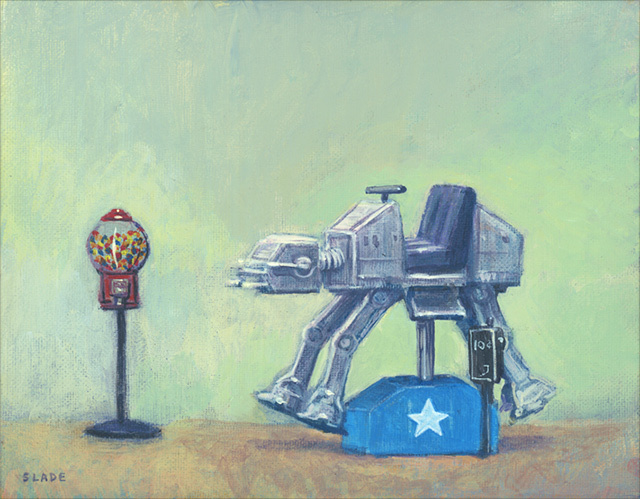 He has taken various vehicles from the Star Wars universe and painted them as arcade rides. 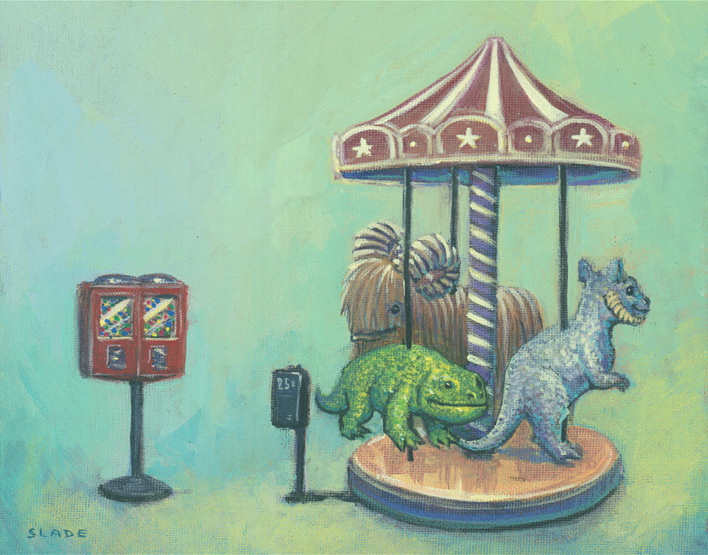 It’s nostalgic work as i remember this style of ride. 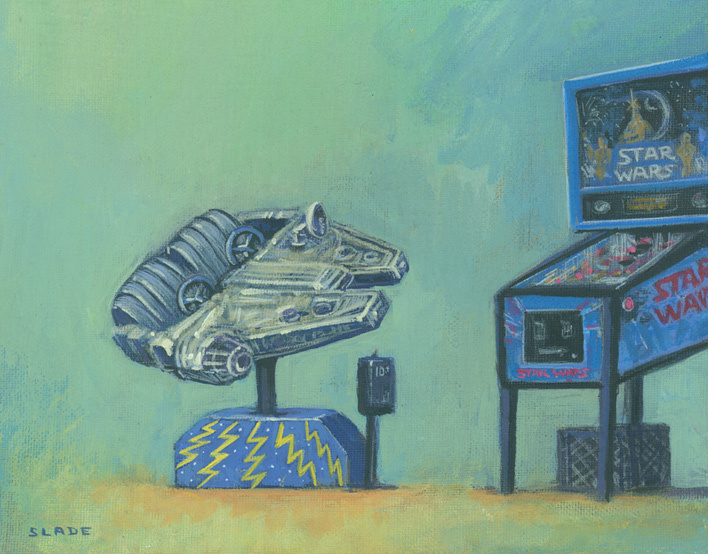 “Arcade 1979” has the Millennium Falcon. 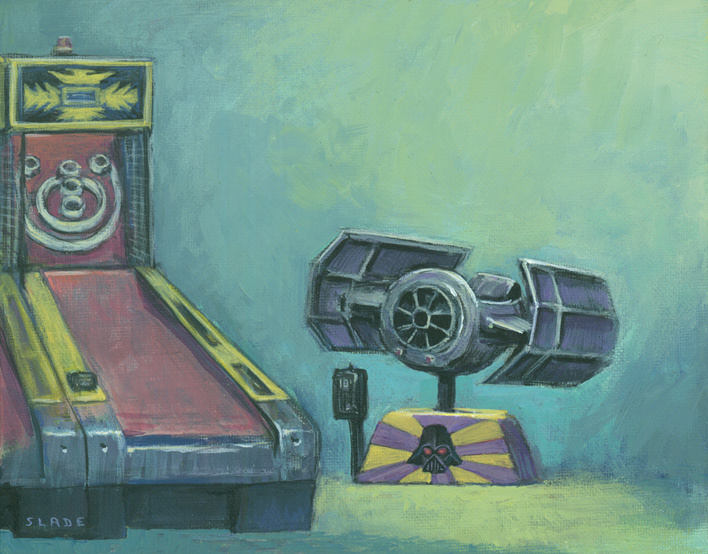 Arcade 1977 which features Luke’s Landspeeder. 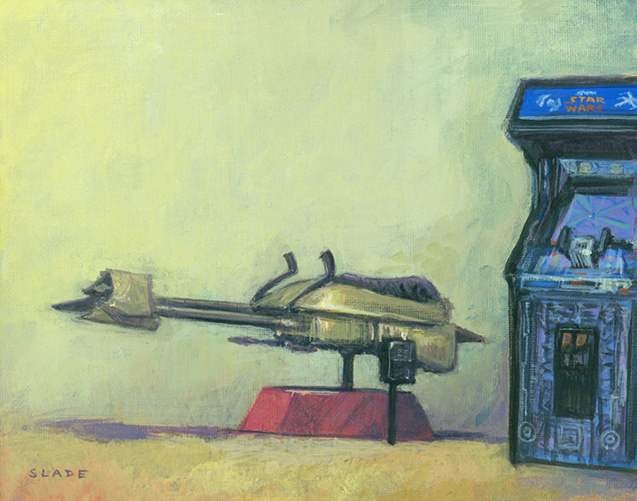 Arcade 1983 featuring a Speeder Bike. 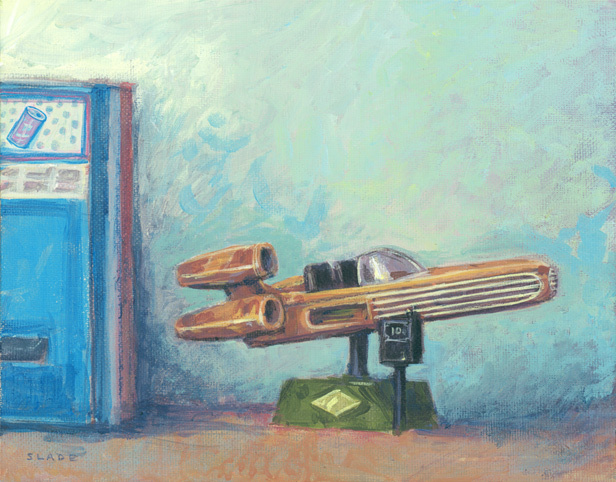 Slave 1 is conspiciously missing. I wonder where the series will go. 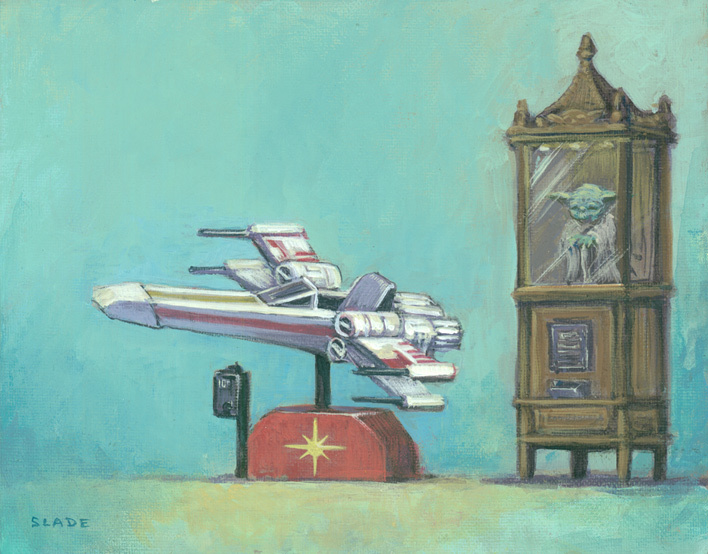 This entry was posted in ACME Archives, Art, Things that i don't have yet... and tagged Art, AT AT, Christian Slade, Millenium Falcon, Millennium Falcon, X-Wing. Bookmark the permalink.